So you are used to seeing High Tech Low Tech articles that discuss options for improving your students language learning experience. These options are presented in various ways requiring different amounts of technology or none at all. The outcomes are intended to be the same regardless of whether you are integrating technology or not. The idea is to stretch your approach within the confines of your own environment; to engage your students in ways that may be new to you and offer more variety with respect to input and output for your students. So what about you? When do you get to learn and how? WAFLT offers a number of different ways for you to engage and advance your pedagogical approach as well as learn about what is happening in the field of language education. One way is this newsletter. We also have a twitter feed, a Facebook page, a journal, and a number of professional development opportunities throughout the year. Coming soon is our Annual WAFLT Conference which highlights presentations from speakers throughout the state of Wisconsin and beyond. Wondering what this has to do with High and Low Tech? This year, in addition to our low tech paper-based conference booklet, we are offering a WAFLT 2017 “App for That.” What this app will do for you is help you to organize which presentations and speakers you most want to see. You choose your own path for learning during up to three full days of professional development. 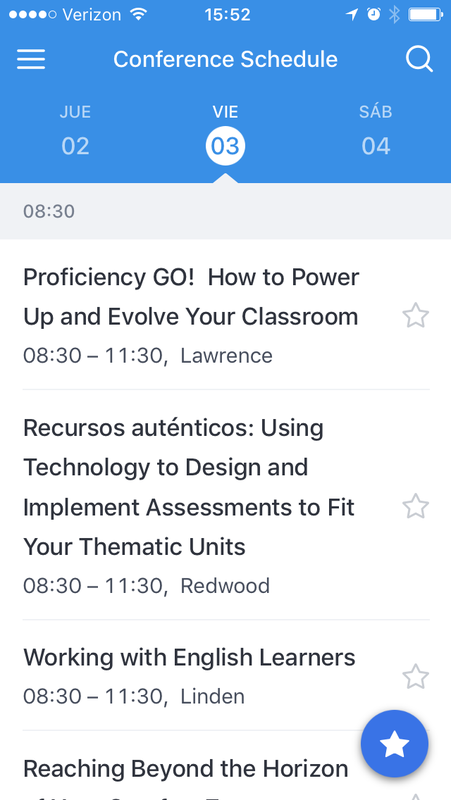 After you download the app you can look at the list of presentations by date and time. “Favorite” a session by clicking the star next to the ones you most want to attend. You can also “favorite” speakers and exhibitors you most want to see by clicking the star to add them to your list. Doing this prior to the conference makes it easier to find what you want when you want it. After attending a session we encourage you to rate each session in the app so the conference chairs know what is of greatest benefit to you and bring you the best possible sessions and conference experience in the years to come. To download the app and begin getting comfortable with it, visit our App Page and download the version for your mobile device. Y ou can also search WAFLT in iTunes or Google play if you prefer. 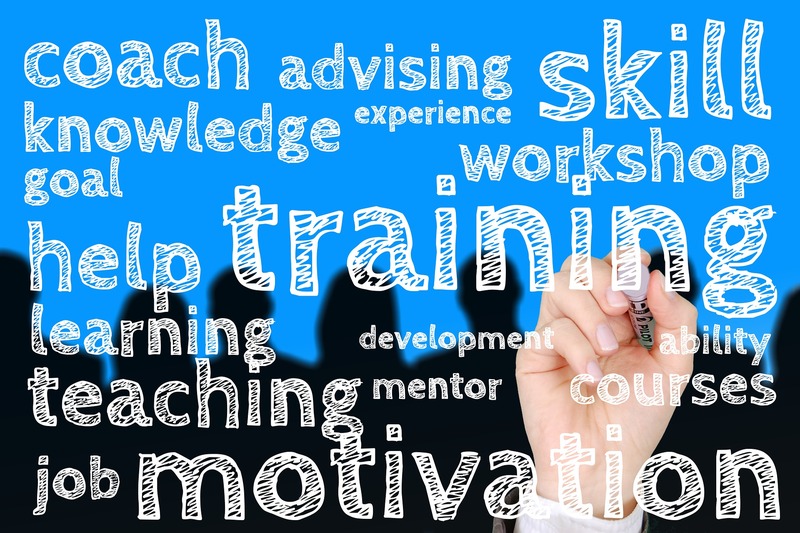 In addition to finding the sessions and people you are looking for, we encourage you to share your learning. 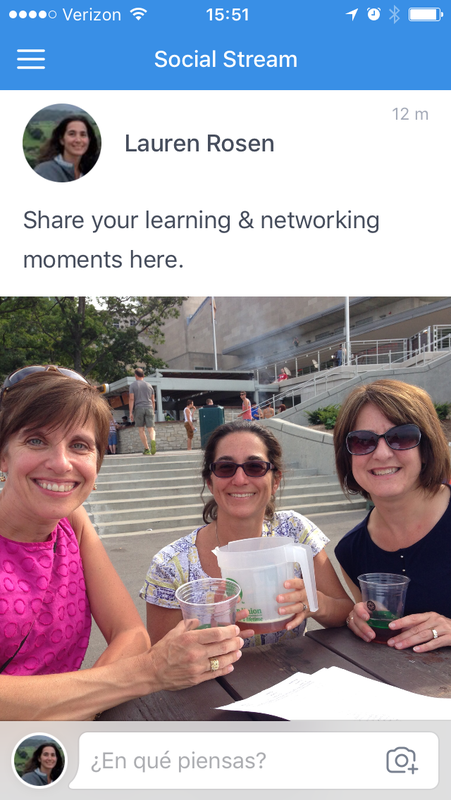 None of us are in this alone and we all learn more from engaging and networking during these professional development opportunities. Not only can you connect the app to your social media accounts but there is also a built in Social Stream function. You can upload images you take at the conference, share networking moments via text and media with your colleagues, and most importantly highlight the hot tips you are learning along the way. We all look forward to engaging with you during the conference. Notice in the Social Stream you can choose to post content there AND have it post to your social media streams by choosing the icons at the bottom left before posting. Perhaps you will win a prize as the most engaged learner at our conference as demonstrated through your use of the Social Stream in the App. Anything is possible if you take on the challenge… Don’t forget to tag all your posts with #waflt17! If the App isn’t your thing, no worries. There will still be a paper conference booklet. If you prefer using your usual client to engage in social media sharing rather than the app, don’t forget to use #waflt17. It will show up in the App as well. Happy networking and growing together!